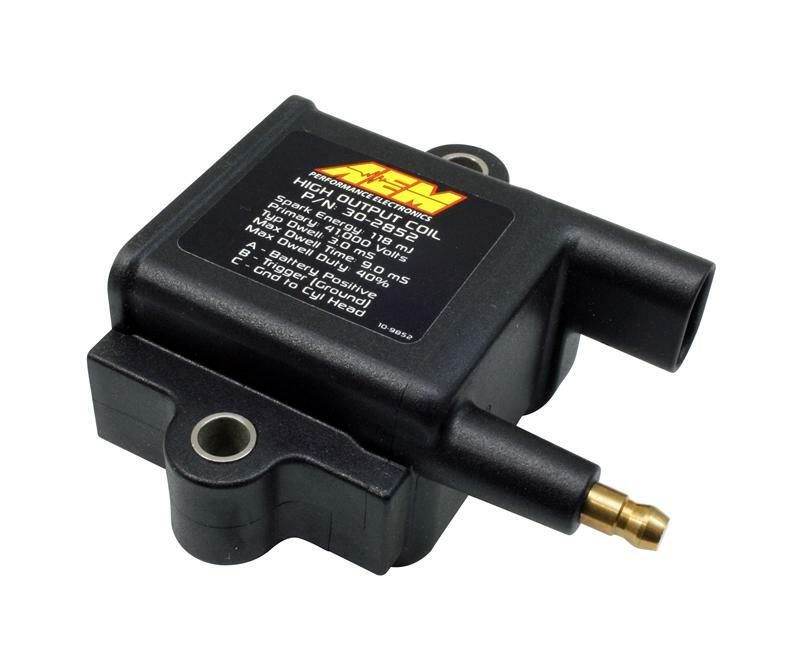 AEM High Output Inductive Coil UNIVERSAL - Lesher Motorsports, Inc. The AEM High Output Inductive Coil is a “dumb coil” designed to be used with an ignitor. This coil offers the high spark energy and voltage typical of a CDI ignition system, but delivers a long spark duration that can only be achieved using inductive coils. The coil itself is constructed to operate in harsh environments and is shock and weatherproof, allowing it to be mounted virtually anywhere. The AEM High Output IGBT Inductive Coil is a “smart coil” for applications that do not have an ignitor. This coil offers the high spark energy and voltage typical of a CDI ignition system, but delivers a long spark duration that can only be achieved using inductive coils. The coil itself is constructed to operate in harsh environments and is shock and weatherproof, allowing it to be mounted virtually anywhere. Up to 40kV Output Voltage, without a CDI!